You must be a member of the Nice Thinking Group to attend this activity. Would you like to join this group? We all feel stressed at some time in our life. How do you cope with it? All welcome, Monday 21st at 6.45pm to a potluck dinner and a FREE introduction about stress management with Heartmath biofeedback system with Udi Gon-Paz, founder of Whole Is Well, a functional therapist and a Monaco based, licensed health coach. 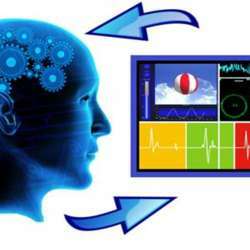 HEARTMATH® TECHNOLOGYis an unparalleled window into your emotional wellbeing. Science-based technology and programs for taking charge of your life. Proven to help you reduce stress and anxiety by increasing your inner balance and self-security. Learn to access your heart’s intuition to become the best version of yourself more often. In America many hospitals are using Heartmath. Watch this video withDr.Joe Dispenza ,one of the World's top quantum physics scientists who is using heartmath at one of his talks. Yes and no, as stress originates in the mind we can't really measure it directly. However, we can measure it indirectly through the body's physiological responses. In this free talk, Udi will speak about stress management and give a demonstration of how it works. It’s a unique opportunity to learn how to reduce the bad effect stress has on your life. Udi is an accomplished stress therapist who is licensed by Heartmath in the USA and Europe. Come and learn more from Udi, Monaco's expert stress management therapist.Heartmath is only a small aspect of what he does. Please bring a plate of food to share that doesn't need cooking. Please arrive at 6.45 pm for a 7pm start.